Which Management Initiatives Had the Biggest Impact Over the Past 20 Years? A new survey identifies four sets of management initiatives that have had the greatest impact on government management efforts over the past twenty years. This blog is one in a series. 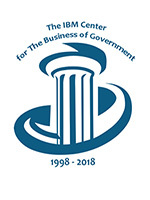 The IBM Center for The Business of Government turns 20 this year. To commemorate this milestone, we are undertaking a year-long effort to both look back over the last 20 years and to look ahead to envision what government might look like in the next 20 years. The IBM Center undertook a survey of government managers and public administration academics to identify management initiatives undertaken in the federal government over the past twenty years that had the greatest impact on government operations. It focused on specific initiatives – such as shared services, cloud computing, and performance budgeting – and not on broad efforts such as Reinventing Government, the President’s Management Agenda, or statutes with a wide range of requirements. We developed our survey by reviewing 350 management-related reports published since the Center’s creation in 1998. These reports identified nearly150 management initiatives that had been implemented over the last twenty years. We narrowed the list of 150 down to 50 management initiatives that served as the basis for the survey. We asked respondents to rate each management initiative as having a “high impact” all the way to ‘no impact” – or “don’t know.” We partnered with a number of others to distribute the survey – the Partnership for Public Service, the Senior Executives Association, the National Academy of Public Administration, and the Public Management Research Association, as well as those following the IBM Center’s work on-line. We received responses from a wide range of participants across both government and academia. Technology-related initiatives had the highest impact. In looking back over the past twenty years, one survey respondent said, “Technology has been the prime driver, organizational changes pale in comparison.” The one tech-related initiative that ranked as having the highest impact was mobile computing. This includes mobile communication (data, voice, and video), mobile hardware, mobile software and related services. It’s application in government is widespread and has dramatically changed both how government employees do their work but also how they interact with citizens. The tech-related initiatives rated as having the second and third greatest impacts are Geographical Information Systems (GIS) and Cloud Computing. Data-related initiatives had the second highest impact. Initiatives in this area include: big data, data analytics, data visualization, dashboards, and open data/government. There are clear linkages between the initiatives ranked high. In many respects, the data-related initiatives in our survey had been enabled by the tech-related initiatives. Performance management-related initiatives had the third highest impact. Again, the linkages between the “most impactful” initiatives are clear. Both the technology-related and the data-related initiatives were foundational to a number of performance-related initiatives. Performance-related initiatives in our survey included: strategic planning, program evaluation, evidence-based decision-making, benchmarking, performance-based contracting, and data driven reviews. Social media-related initiatives had the fourth greatest impact. It is hard to recall the world of 1998 when the IBM Center was created. At that point, the Internet (then more commonly called the World Wide Web) was just five years old; the creation of Facebook was still six years away (2004); and the creation of Twitter eight years away (2006). Today, the impact of social media is clearly evident at all levels of government. For example, at the federal level, the number of “likes” of the National Aeronautics and Space Administration Facebook page increased from 7,000 in 2009 to 20 million in 2018. Two other sets of management initiatives were rated by survey respondents as having important impacts on government operations – collaboration and risk management. While not ranked as high the four sets of initiatives described above, both collaboration and risk management initiatives were rated as having an important impact on government operations over the past twenty years. While there was some collaborative activity in 1998 in government, the last twenty years have seen a substantial increase in different types of collaboration, such as public-private partnerships, cross-agency collaboration, and inter-governmental collaboration. We have also seen an increased awareness in the importance of managing a wide range of risks – cyber risks, financial risks, environmental risks, and more. Our survey included an opportunity for respondents to provide feedback beyond our survey items. Our next blog will reflect on their observations about implementing various management initiatives. In addition, we will discuss several management initiatives that were rated as having a limited impact and offer our insights as to why some initiatives succeeded and others did not. Note: In our look ahead to the next 20 years in government, we are soliciting your ideas of what it might look like. Participate in our Challenge Grant!